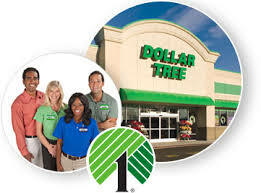 Dollar Tree, Inc. is a national company with over thousands of stores conveniently located in shopping centers in all 48 states of America and Canada. It is a chain of discount stores that sells items for only $1 and for some items less than a dollar. The company’s headquartered is located in Chesapeake, Virginia. The company offers products which can be bought for only a dollar. Merchandises from trusted national and regional brands includes house wares, dinner wares, glass wares, cleaning supplies, party supplies, seasonal decor, foods, snacks and a lot more. Everything that you need and every single item is for only $1 or less! The company also has a website where you can shop online for larger quantities of certain items. Dollar Tree started when K.R. Perry opened a variety store in Norfolk, Virginia and which he named as Ben Franklin in 1953 and later became known as K&K 5&10. K.R. Perry, Macon Brock and Doug Perry, son of K.R. Perry, started K&K Toys in 1970 in the same location and grew to over 130 stores on the East Coast. This store served as the foundation for another chain store called Only $1.00 with five stores and the expansion continued in enclosed malls. In 1991, they sold k&K Toys to KB Toys, a Melville Corp. and they applied all the assets to the expansion of the Dollar Stores. 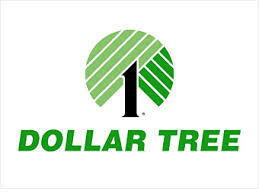 The name Only $1.00 changed to Dollar Tree Stores in 1993 and went public on the NASDAQ exchange in March 1995. The company opened their first distribution center and new store support center in 1997 which is located in Chesapeake, Virginia. By 1999, their second distribution center was opened in Olive Branch, Mississippi. Dollar Tree acquired Dollar Express in 2000 and also built a new distribution center in California. In 2001, they opened two additional distribution centers in Georgia, Savannah and Briar Creek, Pennsylvania. Dollar Tree also acquired Greenbacks, Inc. and opened a new distribution center in Marietta, Oklahoma. They opened their first store in North Dakota in 2004 and also opened two new distribution centers in Ridgefield, Washington and Joliet, Illinois. The company celebrated their 20th year of retailing at a $1.00 point and also opened their 3,000th store. They expanded their Briar Creek Distribution Center in 2007. By the end of 2009, they opened a store in Washington, D.C. and also purchased a new distribution center in San Bernardino, California. In 2011, the company opened their 278th stores and completed a 400,000 square-foot expansion of their Distribution Center in Savannah, Georgia. The company opened their 345 new stores in 2012. You will be responsible in managing the order selection, loading and outbound documents of the Distribution Center and ensures that production goals are met. You will be responsible in managing approximately 20 to 30 associates. You should have a strong organizational and communication skills, able to understand and demonstrate technical/equipment and systems and able to work in any shift. You will be responsible in loading and unloading trailers, move merchandises from area to area and uses conveyors or power lift equipment throughout Distribution Center. You will be responsible in installing, repairing and maintaining equipments, machinery and electrical systems at the Distribution Center. Dollar Tree provides a Distribution Center Management Training Program that is designed to train future logistics professionals, where they will learn aspect of Retail Distribution Leadership. After completing the training programs, trainees become DC Department Managers, with a full departmental responsibility within one of their 10 Distribution Centers across the states. Why Work with Dollar Tree? Dollar Tree offers a number of benefits for their associates. The company has a cafeteria style benefits plan where their associates can choose what is right for their lifestyle and family. Some of the benefits include are as follows: medical and dental plan, vision plan, prescription drug plan, long and short term disability coverage and voluntary life insurance. The company also rewards its people for a job well done; they offer an employee stock purchase plan and company-funded profit sharing plan for their eligible associates.